 This examination is being given to fill multiple temporary vacancies in the Data Processing Department at San Joaquin General Hospital Division and to establish an referral pool which may be used to fill future vacancies. Resumes will not be accepted in lieu of an application. A completed application must be postmarked or received online by the final filing deadline. Provides technical assistance to system users for computer and networked systems equipment including hardware, software and peripheral equipment. Responds to requests for assistance on desktop and computer related problems including hardware, software, peripheral printers and related equipment; determines severity of problem and resolves or refers to higher-level information systems staff; installs, tests and configures computer hardware, software, programs and applications; troubleshoots to ensure functional operation. Performs a variety of technical duties in the installation, configuration and troubleshooting of hardware and software applications and equipment on networked systems; monitors computer systems, networks and applications for response time, problem prevention, performance and resource utilization; troubleshoots and maintains networked components including routers, hubs, bridges, and switches. Performs routine network administration duties such as monitoring or adding applications, users and devices, modifying user profiles, re-setting passwords and file maintenance; documents all network changes and revisions. Troubleshoots and diagnoses communication equipment problems to ensure functional operation; performs minor repairs; coordinates and oversees the installation of communications wiring and cabling. Performs minor repair on computer systems and peripheral equipment including printers, modems, scanners and related devices; coordinates major equipment repairs; locates vendors and ships parts as needed; arranges for vendor to perform on-site repairs. Conducts one-on-one training sessions with desktop users; provides information on system and application functions; communicates user access rights. Provides assistance to higher-level information systems staff in the evaluation, selection, acquisition and implementation of computer hardware and software solutions; provides assistance in determining communications requirements for new equipment installation; installs cabling and wiring for systems and peripheral equipment. Experience: One year as a Department Information Systems Specialist I in San Joaquin County. Education: Completion of at least 60 semester (or 90 quarter) units from an accredited college or university, including 24 units in computer science. Experience: Two years of experience that included substantial responsibility for operating, installing, configuring, testing, troubleshooting and repairing desktop computer hardware, software, peripheral equipment and/or network systems. Substitution #1: Possession of an approved information systems technology certificate, or completion of an approved information systems training course may substitute for all or part of the above-required education. A list of approved certificates and/or courses shall be maintained within the Human Resources Department. Substitution #2: Additional qualifying experience may substitute for the above-required education on a year-for-year basis. Special Requirement: Applicants for positions in this class may be required to demonstrate proficiency in operating, installing, configuring, testing, troubleshooting and/or repairing desktop computer hardware, software, peripheral equipment and/or network systems as part of the testing or selection process. Operations, services and activities of a comprehensive information systems program; personal computer hardware and software components; operational characteristics of local and wide area network systems; operational characteristics of communication systems; network cabling standards; principles and practices of troubleshooting computer system hardware and software problems; basic principles and practices of technical network administration; principles and practices of customer service; operational characteristics of various computer software packages; operational characteristics of a variety of communication equipment and devices; methods and techniques of developing technical documentation and training materials; principles and practices of record keeping; modern office procedures, methods and equipment. Respond to and identify user computer related problems; install and configure desktop computer systems and peripheral equipment; troubleshoot a variety of desktop systems hardware and software; perform routine technical maintenance on local and wide area networked systems; test and repair network cabling problems; communicate technical information to a wide variety of users; perform minor repairs on computer equipment; assist in planning and evaluating new systems and equipment; communicate clearly and concisely, both orally and in writing; establish and maintain effective working relationships with those contacted in the course of work. Mobility-Frequent use of data entry devices; frequent sitting, standing or walking for long periods; occasional pushing/pulling, bending, squatting and crawling; driving; Lifting-Frequently 5-30 pounds; occasionally 70 pounds or less; Vision-Constant use of good overall vision; frequent reading/close-up work; occasional color, depth and peripheral vision; Dexterity-Frequent repetitive motion; frequent writing; frequent grasping, holding, and reaching; Hearing/Talking-Frequent talking/hearing in person and on the telephone; Emotional/Psychological-Frequent decision making and concentration; frequent public contact; occasional working alone, working nights and traveling; Environmental-Frequent exposure to noise.